China is setting a new box office record with ferocious speed that helps cement the view that it will overtake even the US in the foreseeable future as the world’s biggest cinema market. But number crunching is not straightforward in terms of calculating when China might eclipse the US. But all is not well in the Middle Kingdom’s exhibition industry as yet more cinemas are suspended for box office fraud. Far from just being a case of greed, for some cinemas this is the only way to stay in business in a fiercely competitive market. Seven Chinese cinemas have been banned from screening new movies due to cheating on box office figures, two Chinese film associations announced on Monday. The cinemas were found to have used a “dual software system” to sell film tickets without registering the real box office gains to a uniform system, according to a statement issued by the China Film Producers’ Association and the China Film Distribution and Exhibition Association. 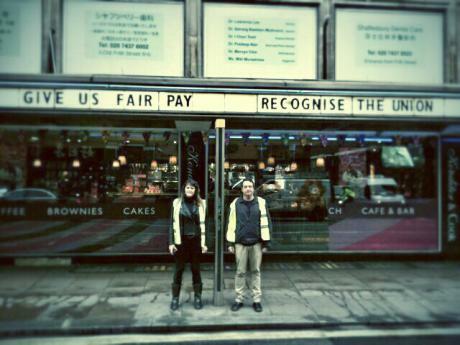 UK – While Ritzy’s staff in Brixton strike for a London Living Wage, they are by no means the only unionised cinema workers, as this interview with two staff from Curzon reveals. USA (NY) – There are fewer and fewer movie going options for the inhabitants of the Bronx. If the Bronx were a city, it would rank about sixth in population in the United States, its 1.4 million inhabitants making it near the same size as Philadelphia, Phoenix or San Antonio. But one glaring difference is especially relevant with the arrival of Memorial Day, the semiofficial start of the summer movie season: Film lovers there have to plan more and travel farther to see their favorite blockbuster. Philadelphia provides its residents with seven theaters and 50 screens, Phoenix offers nine theaters and over 120 screens, and San Antonio lights up 19 theaters with over 200 screens. 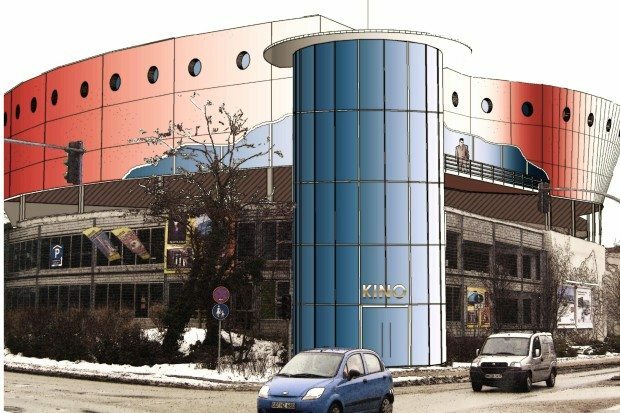 Germany – Building a cinema in a round room with a pillar in the middle might not seem like the most sane of ideas, but that’s what these Germans have managed. In a round cellar space is exactly where you do not build a cinema , especially when a column is perched in the middle: these were the initial concerns of the cinema operators in the City Cathedral , as her plans for a lounge – cinema solidified . But now there are no more plans , but reality : Cinema 5 is welcoming and chic, spacious and cozy alike. However, to operate a ” cinema ” ” is what freaks ,” said Thomas Negele , CEO of Germany’s largest cinema association ” HDF cinema ” and together with Alfred Speiser General Manager of the City Cathedral : “Who does cinema, is not quite right in the head” . And cinema to make 5, he called even a ” crazy idea”. In which this success , however – with great diligence work of many regional craft company – now led , was the occasion for a celebration. 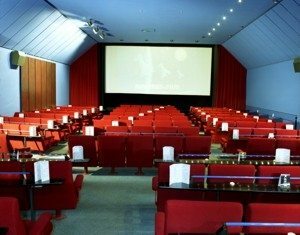 Germany – Details about the World Cup screening in cinemas have been sketchy, but some cinema like this one in Germany have started to advertise the upcoming screenings. Germany – Somebody slightly larger who has announced similar plans in Germany’s CineStar, which previously also screened the Bundesliga. When on 12th of June the round leather ball rolls in Brazil, the enthusiasm for football will be huge again in Germany. Whether Jogi Löw on the sidelines or the German team during the attack on the opponent’s goal : What could be better than to watch the games of the World Cup in a large circle on a big screen in perfect digital image projection and outstanding sound quality ? UK (Scotland) – The pro- and anti-independence for Scotland campaigns cannot advertise on television, so cinema has become their new battle ground. Some have already had enough. 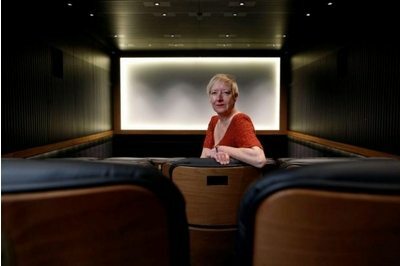 Over the last few weeks ­Scotland’s cinemas have shown a series of adverts making sometimes dubious claims for one or other side of the independence referendum debate. So divisive are some of the spots that at least one major venue, Glasgow Film Theatre (GFT), has banned them. Germany – A change of guard at UCI Germany, where Jens Heinze replaces Ralf Schilling as CEO from June 1st. Germany – There are 1.4 million blind/visually impaired or deaf/hard of hearing people in Germany for whom a cinema visit is a challenge. But two new audio-description apps called Greta and Starks are looking to change that. Here is where the apps and Greta Starks come into play. In future they should allow access to the movie experience for blind and deaf people at any time and in any cinema. While Greta headphones delivers film descriptions, Starks subtitled movie directly on the smartphone. USA (NY) – No details of what the fight was over and whether it was film or even cell phone related. The cinema is brand new and only opened last year. The Tompkins County sheriff’s office is investigating a movie theater stabbing. It happened at the Regal Cinema in Lansing. Deputies were called to the theater for a fight just after seven Thursday night. They eventually found a victim inside one of the theaters with numerous stab wounds. USA (OH) – It feels like we will soon have to change the name of this category to ‘Digital Resuscitation Watch’. 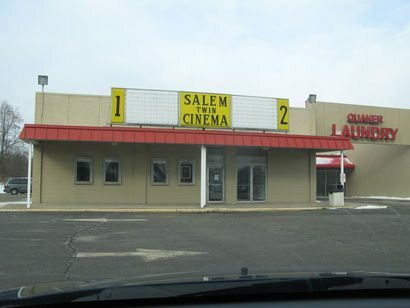 A local family is investing in Salem with a complete overhaul of the former Salem Twin Cinema. The family of Natalee and Jock Buta wanted to bring movies back to Salem and provide families and kids with a safe place to see movies but with the latest video and audio technology. 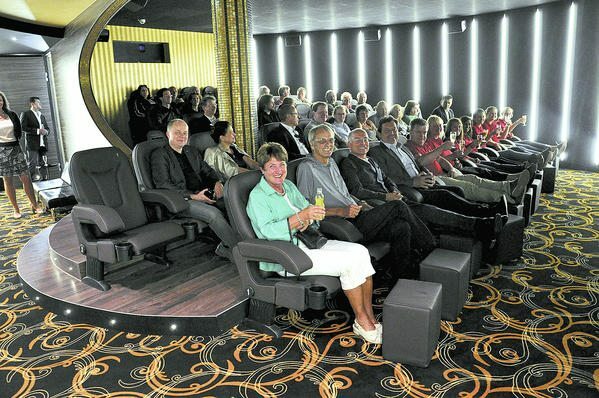 The upgrades include state-of-the-art equipment, wider seats and “rumble seats” and amenities for handicapped viewers. 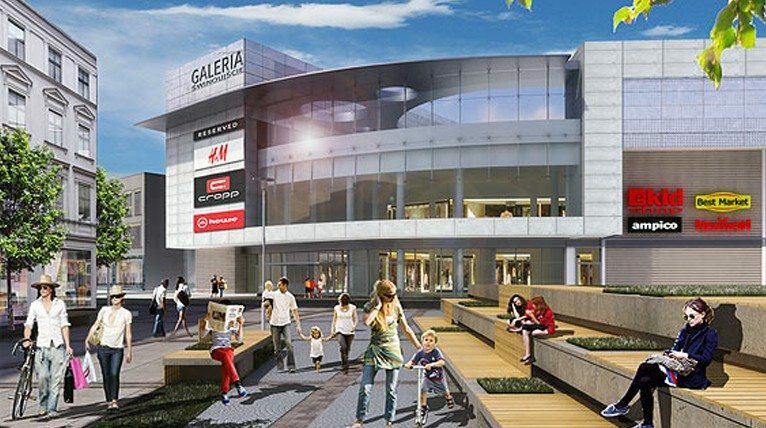 Poland – The Polish port city of Swinoujscie near the German border is set to get a four-screen cinema in the Galeria Swinoujscie mall. No word on who will operate it. – It seems to me that the gallery will be set permanently as a place where we do shopping conveniently, as there is a large parking lot. In this center, nothing is as good complement, as the film – says one of the mall’s investors Marcin Wozniak. Germany – More details on the plans for a cinema in Ahrensburg. 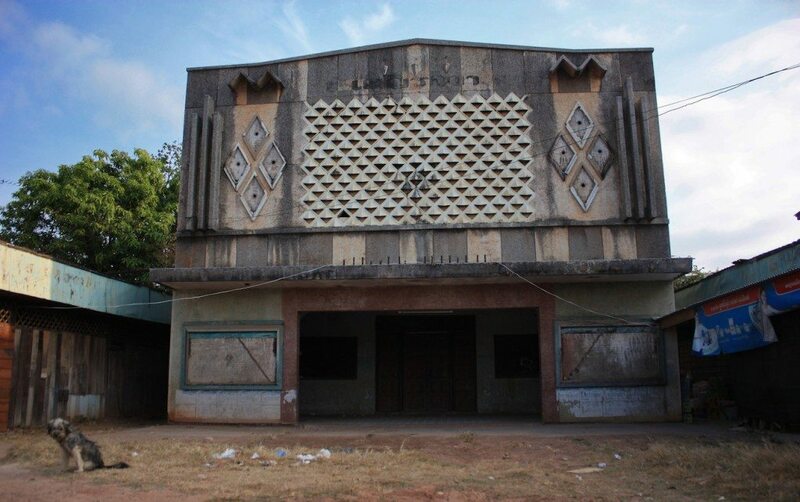 UK (Jersey) – A cinema that was built not long after the German occupation of the island of Jersey ended looks set to get Grade I listing, protecting it for the future. 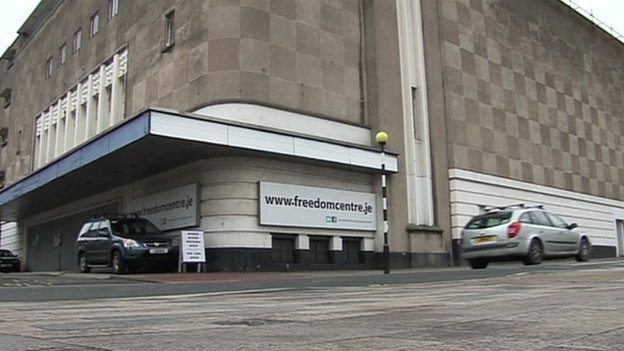 A former cinema building in St Helier could get special protection after being described as having “national significance” to Jersey and the UK. The 1952 Odeon building was one of the earliest post war cinemas built in the British Isles. USA (CA) – Fancy a piece of cinema history from the son of a matinee idol? You’re in luck if you have a few million dollars to spare. 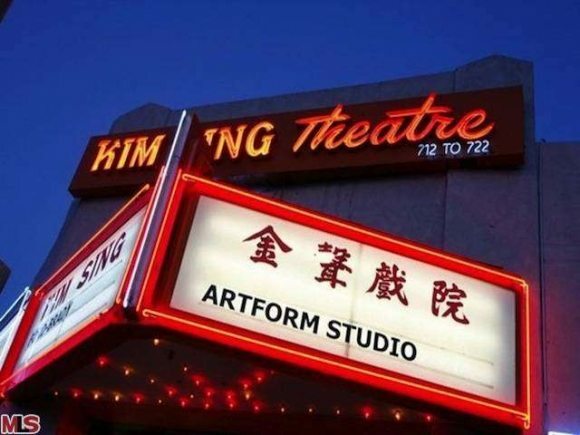 Willard Ford, son of the “Indiana Jones” actor Harrison Ford, is reportedly selling the unique Kim Sing Cinema theater in Chinatown, Los Angeles, for $4.5 million. 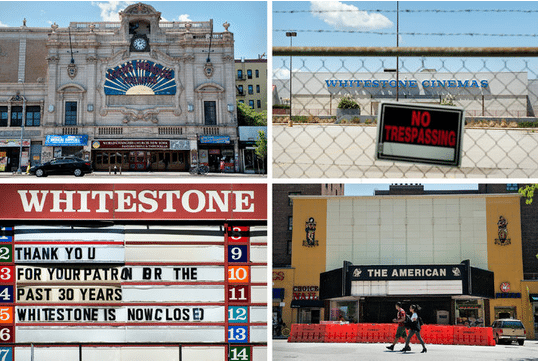 USA (MA) – Landmark Theaters’ Embassy Cinema is staying put, despite the building changing ownership. 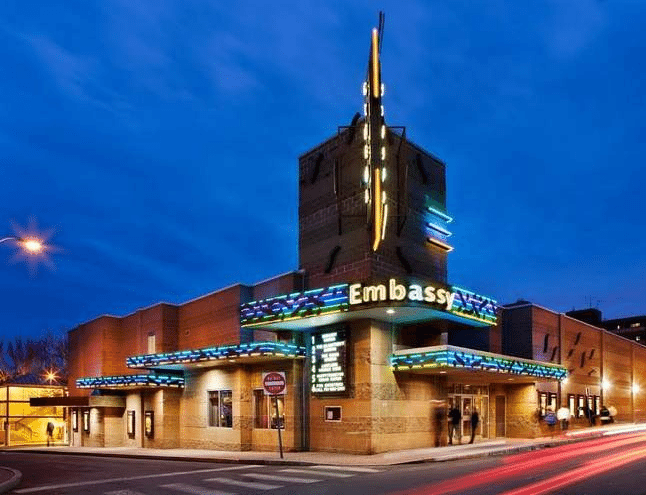 The owners of the Embassy Cinema on Pine Street have sold the building to a New York-based group, but the site will remain a movie theater, according to a representative for the sellers. Ship To Shore LLC sold the property, at 14-26 Pine St., to Katz Properties for $3.1 million. The deal closed May 16. 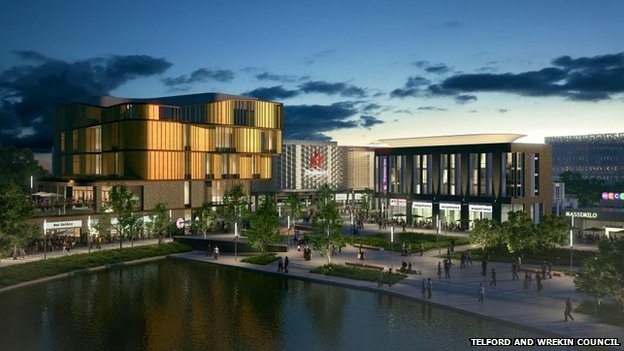 UK – July 14th is the date for the opening of the first part of a £250 million shopping and leisure centre in Telford that will include an 11-screen multiplex with an Imax courtesy of Cineworld. The Southwater One centre in Telford will house the town centre library and other services. It has been described by Telford and Wrekin Council as the town’s “flagship community building”. 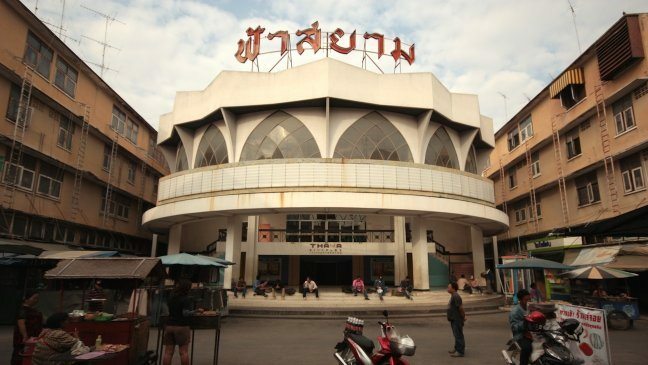 Across Thailand, Vietnam, Myanmar, Laos and Cambodia, the standalone cinema, with its one or two screens, once occupied a place of privilege in cities and villages that were oriented around lively town centers, where residents mostly walked or biked to their business, shopping and entertainment. 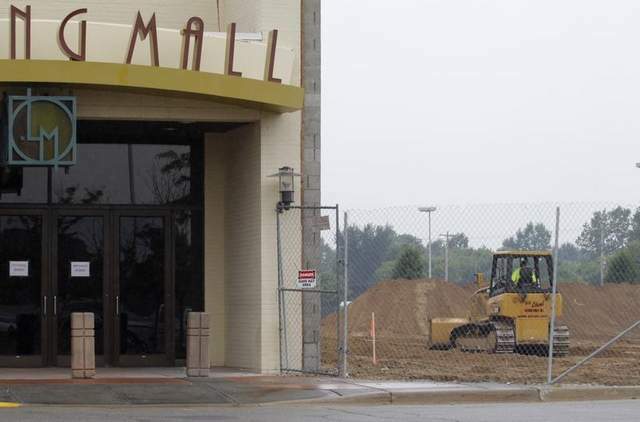 With the arrival of cars, motorbikes and middle-class lifestyles, many of these midcentury architectural gems have been demolished or abandoned in favor of the air-conditioned mall-based movieplex, with all its contemporary comforts and technological enhancements.